Machines, pumps, valves, fire alert systems, temperature sensors, smoke detectors, etc. often do not offer IT integration. Instead, they provide simple analog cables to interface with dry contacts. 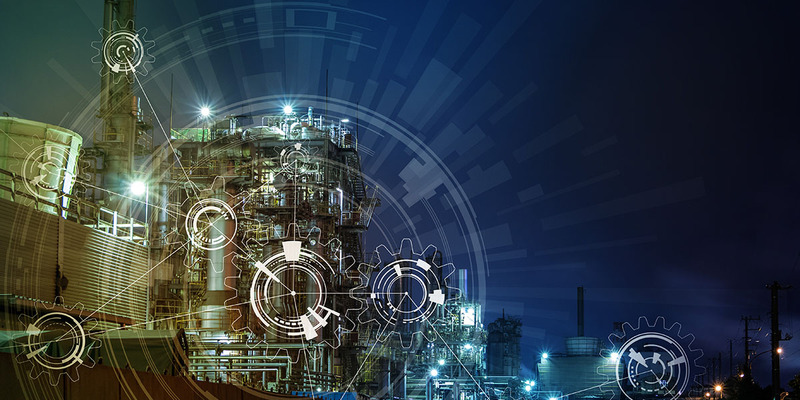 Monitoring these I/O states and detecting abnormal behavior or malfunctions a common scenario in industrial IoT. Operations teams in charge of business and operational continuity need to know any abnormal behavior in order to take immediate action. Having information available on a dashboard is often not sufficient and they might roam the shop floor or are away from the operations control room fixing machines and systems. Any critical information or alert needs to reach responsible staff immediately no matter where they are. This is where SIGNL4 comes in. The app-based alerting solution ensures that the right people get actionable and enriched information at the right time and wherever they are. 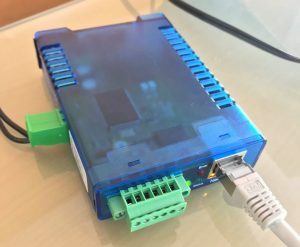 Here, we describe how to use a hardware device to detect analog I/O states and then to use SIGNL4 for mobile real-time alerting. 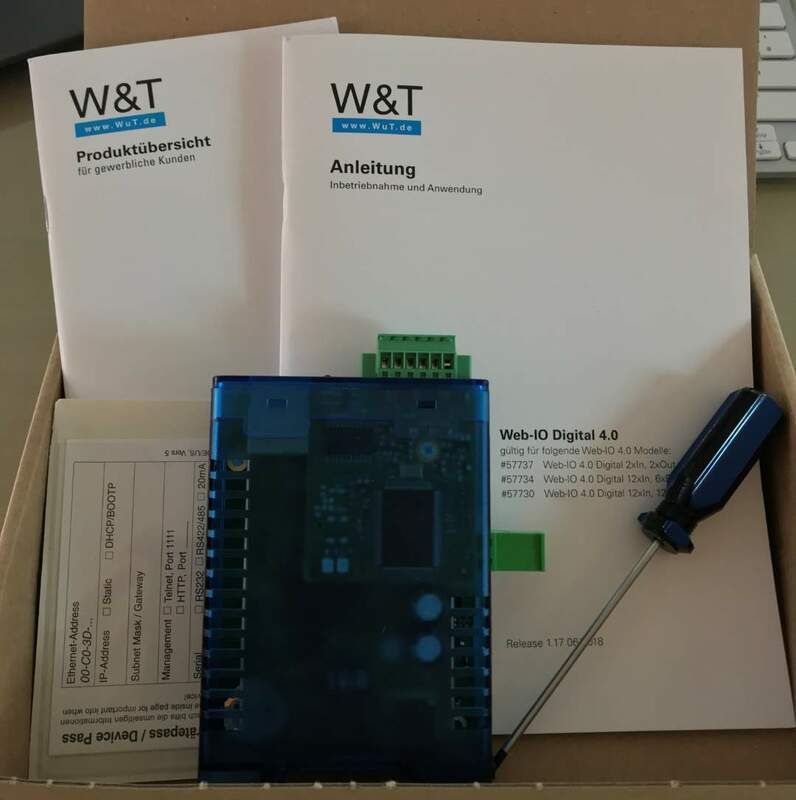 A robust device for industry usage is the “Web-IO 4.0 Digital, 2xIn, 2xOut” from Wiesemann & Theis GmbH in Wuppertal, Germany (https://www.wut.de/e-57737-ww-daus-000.php). 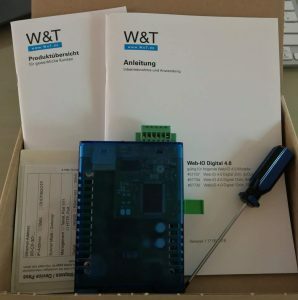 Let’s have a look how to connect it to SIGNL4. The device is only about 4 x 1 x 3 inch in size. It comes with a small screwdriver and a detailed and very helpful manual. 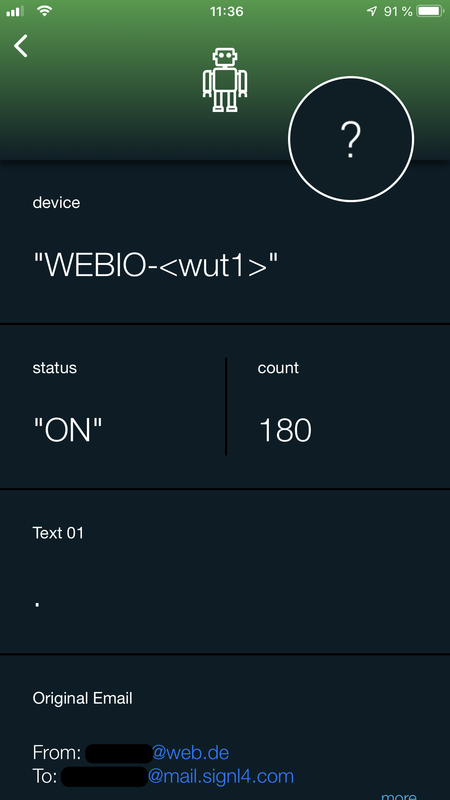 Setting up the device is simple and self-explanatory. 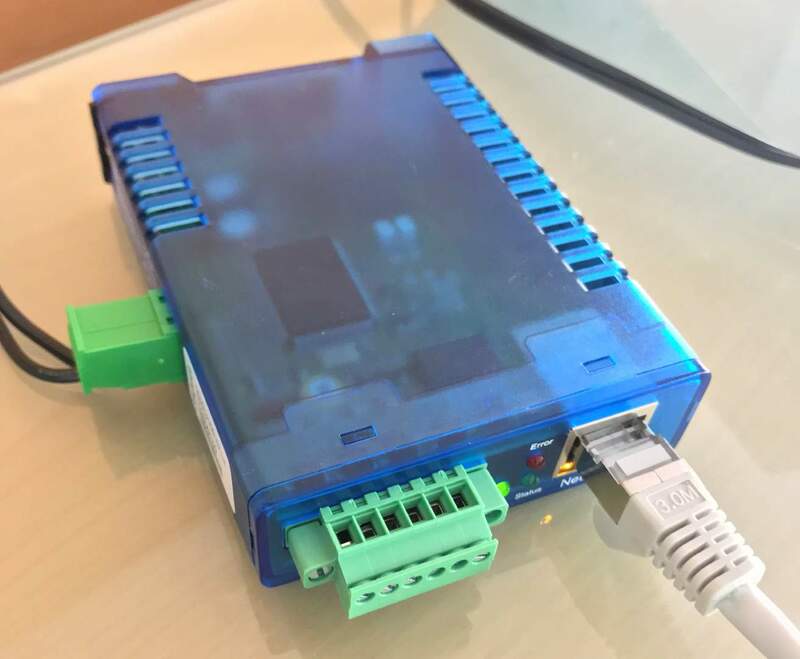 For difficult network situations, the manufacturer provides helpful tips and tricks on how to finally reach the configuration interface of the device. The small connector strip on the side of the device provides two inputs. If you want to monitor the state of a dry contact, you can connect a 24 Volt power supply. In our scenario we use the input labeled “Input 0”. The connection to the switch, which can interface with a machine interface, is connected to pin “+” and “Input 0”. The switch simple connects or disconnects the two pins. 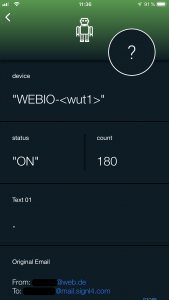 This condition (connected / disconnected) of the input channel is detected by the Web-IO and can lead to various types of actions. In our case we simply use the email channel to send the data to SIGNL4. 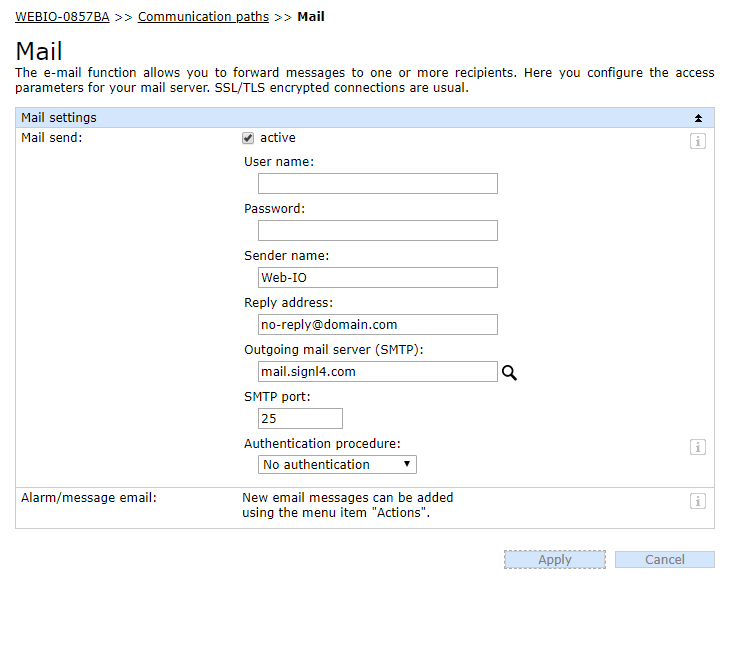 To enable this action, you can configure the SIGNL4 SMTP server in the Web-IO device as shown below. In the Actions section you can then configure to send the email to the SIGNL4 email address associated to your team in case the switch is connected, disconnected or in both cases. You can freely configure the email text and subject line with placeholders so the signal in SIGNL4 appears like you need it. Using above format ensures that SIGNL4 discovers parameters in the email body and renders those as detail cards. 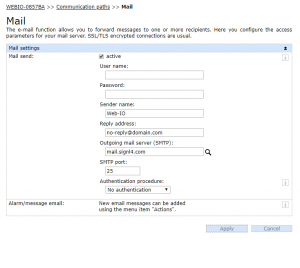 Those placeholders are replaced with the corresponding values ​​before the email is sent. If you now connect the switch or close the dry contact you will receive the signal in the SIGNL4 app.